Properties in Mahakipawa Arm average 4.5 out of 5 stars. Fantail's Haven - Fantastic private holiday home! Property 13: Fantail's Haven - Fantastic private holiday home! Quiet location. 5 minutes walk to town. Property 18: Quiet location. 5 minutes walk to town. 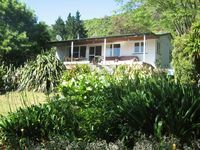 Stunning views set within a private bush setting with own beach across the road. 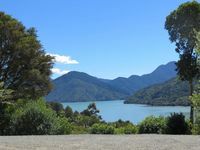 Property 28: Stunning views set within a private bush setting with own beach across the road. The PICK of PICTON - luxury modern apartment. Property 36: The PICK of PICTON - luxury modern apartment. Cosy self contained boutique studio. Property 50: Cosy self contained boutique studio. A comfortable studio with all you need and wonderful views to the sound. Very calm!